As an entrepreneur, founder, co-founder, head of different companies and a board member to several companies, Alex Hern has contributed to the creation of several companies and has also held a different leadership position in certain companies and organisations. His outstanding contribution to the technology has been vividly seen through his work and creativity such as in virtual reality technology. Mr .Hern was a co-founder, chairman, and chairman at Military Commercials Technologies in the late 90s. He currently serves as Member of Board of directors at Silicon Valley Internet capital. His pioneering nature made him come up with Strategic Acquisition Ventures company. He also participated as a co-founder of several companies such as Tsunami VR, Inc that focuses on the provision of software and content solutions. On top of being the co-founder, Alex Hern also acts as the Chief executive officer at the company. The company provides virtual, 3D, and augmented reality solutions that provide overall productivity to the global businesses. More so, Mr. Alex Hern has also participated largely in founding Inktomi. A technological approach that was a search technology and powered YAHOO, AOL, and MSN. On top of holding this top prestigious positions in companies and organisations, he also has his good leadership that steers the success of each company and organisation. It was recently announced by Ford Motor Company that Elena Ford has been promoted to the new position as Chief Customer Experience Officer. The news was made public last October. Prior to her promotion, Elena was a Vice President at Ford. Elena Ford is a great great granddaughter of the auto industrialist Henry Ford. Her mother is Charlotte Ford, and her grandfather is Henry Ford II. Mr Ford is the eldest grandson and served as the company President for decades. Elena is currently the only female descendant of the family that has held such a high-ranking position in the company. Elena’s new responsibilities will impact the Ford customer experience as she works closely with dealers across the globe. The company is over 100 years old, and it has been one of the leading manufacturers in the history of the automotive industry. The initiative of the organization as a whole and Elena in particular is expected to greatly impact Ford Motor Company. Customers have responded positively to the new FordPass app that Elena Ford helped to launch. It’s technologically advanced and provides driver features and benefits that already far surpass much of the competition. While Ford is known for its overall good customer experience and satisfaction level, in her new role Elena will work to make a good thing even better! Ford Motor Company is listening to its customers and to its employees, and that appears to be good news for the company. Their goal is to consistently deliver the “wow” effect that customers expect from a global leader such as the Ford Motor Co. Elena has the drive and expertise to accomplish all of this and much more. Elena Ford is well suited for the role of the Chief Customer Experience Officer. At 52, she has learned about the industry from top to bottom throughout her career. She understands what it is that motivates and excites the customer, and she is now in the executive position to uplift the Ford customer experience to new heights. The headquarters of the Ford Motor Company are located in Dearborn, MI. The long history of the company dates back to 1903 when Henry Ford opened its doors for the first time. The company has a well earned reputation as an innovative and technologically forward-thinking leader. They have deep roots in Michigan, and the name Ford has been a household word for generations of Americans. Serge Belamant is a software developer who is known as the man who created the first blockchain technologies. His technology has been used to create multiple cryptocurrencies and has also been used by banks to make payments more secure. Belamant was born in France but later moved to South Africa and learned how to read the English language in the process. He studied at Highlands North High School for Boys in Johannesburg and was into playing sports during this time. He also picked up the game of chess and became an expert player who represented Southern Transvaal in a chess tournament in the early 1970s. Serge Belamant went on to study at Witwatersrand University, where he was interested in engineering. He decided to switch majors later on so he could focus on applied mathematics and computer science. After this, he decided to attend the University of South Africa and focused on information systems while there. After his college days, he went to work with Matrix by serving in its BKSH division. He also began to build sophisticated computer models, which served the Council for Scientific and Industrial Research. Serge Belamant eventually decided to make a move to Bancorp, where he helped out with analysis and risk management. He also worked in SASWITCH Limited, which was having a difficult time with its ability to process transactions quick enough. The company was also having trouble with its switching system, and Belamant came in to save it from its woes. He installed Stratus computers, which helped to fix the issue, and his work was noticed by many companies. The tech he created helped every RSA bank to connect to one another, and this elevated SASWITCH’s place in its industry. Serge Belamant eventually left SASWITCH and decided to serve Net1 Technologies. He made a move to the U.S.A. and invented the Chip Offline Pre-authorized Card. He then invented COPAC, which has continued to prevent fraud for VISA to this day. After this, Belamant continued to create new blockchain technologies and was the creator of the original electronic purse, which could be accessed through smart card tech. When VR headsets first came into the market they were viewed with skepticism as items that would not sell since no one would want. Today they are so popular and with advancement into extended reality they are becoming functional than merely entertainment tools through a company founded by Alex Hern called Tsunami XR Company. The idea for VR was not born in the 2000 but in the 1950s in the 360-degree murals of Antonin Artaud plays. He created the murals with the aim of immersing the playgoers in the play experience which is exactly what VR does with movies. This was followed by the sensorama which played movies and one had to put their head and shoulders into it. Today VR headsets are small enough that one can carry theirs with them wherever they go. Alex Hern has the intention of breaking VR from the entertainment box and bring it to the workplace beginning with remote companies or international companies. XR can enhance the work experience and increase remote workers productivity. The company aims are creating software that makes it possible to use extended reality for different purposes. XR has been integrated into training such as in the training of firefighters as it provides a very realistic experience. This has been made possible by the work Alex Hern is doing at Tsunami XR. Unlike VR it combines physical reality and the virtual reality to make everything seem very real. It has been theorized that in a few years VR and XR will become an integral part of every training programme. Unlike human trainers who may not be able to teach every member of the class at their pace VR headsets can do that with each learns taking the material in at their pace. Alex Hern is the founder and CEO of Tsunami XR and has been involved in the establishment of Silicon Surf and Tags. Eric Lefkofsky: An Innovative Health Leader. With a net worth of over 2.5 billion dollars and currently at position 359 on the Forbes 400, Eric Lefkofsky is a self-made billionaire, and the chief executive officer comes founder of the Tempus; a medical solution provider with the primary aim of treating cancer. Eric studied at the University of Michigan in which he was awarded honors and two years later a Juris doctor from the law school. Besides the Tempus, Lefkofsky is also the chair of Groupon, a co-founder of the VC firm lightbanks, a company that has focused on making investments in other companies and the co-founder of uptake, a company that manages other companies safety and operations by using data science. Together with his wife, Liz Lefkofsky, Eric formed the Lefkofsky family foundation, a family foundation that has tasked itself with developing solutions to the human life through integrated programs and research. Their organization is mainly based in Chicago and have focused on activities, for instance, supporting young children, providing scholarship programs and emphasizing on financial education through an innovative program called money thing. Besides that, he has offered a lot of support to the University of Michigan and the De Paul University. Health is a crucial issue; the Eric Lefkofsky foundation has fully supported research on the various treatment for leukemia, cancer, and various cardiovascular diseases, for instance, Alzheimer and celiac disease Through monetary donations for example in 2015, they contributed over 780000 us dollars to the Texas university cancer center. The art and culture industry and the technology industry have benefited from the foundation, for instance, a 7 million dollar contribution made to the Stephen wolf theater company and various museums. Together with Google, they created the 1871 fetch, an organization with the primary function of encouraging and increasing the number of female techpreneurs in the field. Eric Lefkofsky is responsible for the fast-growing accelerated disruption, a business development that has focused on keeping in pace with the various technological advancement. This concept has been able to identify the major industries to develop besides helping found various technology startups. Accelerated disruption emphasizes first on choosing the right market for innovation and then using automation for tasks that can quickly be done while ensuring the same level of quality. Author EEBusinessPosted on September 29, 2018 September 27, 2018 Categories Cancer Treatment, TechnologyLeave a comment on Eric Lefkofsky: An Innovative Health Leader. Paul Mampilly is recognized for his dedication towards teaching people on the benefits of blockchain technology. The fact is that financial technology implementations of the blockchain are impressive. This new form of technology may also solve other issues in the society. Consider the problem of identity theft. Identity theft arises when the source and the ownership of financial resources and information cannot be identified. Blockchain technology has played a great role towards combating such kind of theft. Paul Mampilly always stresses the significance of the blockchain immutable data record system. The primary advantage of technology is that blockchain well defines every resource and hence there is a very low probability that theft may occur. The third party is unable to identify the owner of the resource due to the lack of editing privilege. The ownership transactions can occur through smart contracts in case a person is truly interested in trading a deed or sensitive information. Blockchain may also employ to enhance government services in advance economics and developing countries. Blockchain technology can also be employed to reduce corruption that prevails when federal grants are redirected towards local officials in the United States of America. For instance Title I grants. These grants offer donations to schools that are based in low-income societies. However, the disbursement of these funds is mostly set by the local leaders. A report by Dr, Nora Gordon who serves in the Brooking Institution showed that 90 percent of these funds never got to the intended school districts in a large sample. Blockchain can be employed to handle this issue of fund leakage in fiscal federalism. By making use of blockchain, these fund donations can be directly disbursed to respective institutions without the skimming of bureaucrats at every stage of the federal system. Paul Mampilly noted that with proper implementation of blockchain system, the misapplication of funds donation can be highly reduced while boosting the confidence level of the public towards the government. Blockchain technology can also be employed in most of the day to day government activities. The blockchain immutable distributed ledgers make all transactions visible and impossible to hide. This helps in disposing all corruption acts to the public. Thanks to Paul Mampilly. Paul Mampilly is the Senior Editor at Banyan Hill Publishing. Not to mention he is also the founder of “profits unlimited” which is a newsletter that is meant to help primarily younger crown in figuring out how stocks work, how and when to invest, and everything you need to know about being an entrepreneur simply. Paul used to be a wall street guy but it became a passion of his to try and help the average american in becoming successful in business. Paul Mampilly takes what he does extremely serious. He reads as much as he can about stocks to understand how every business is doing and tries to keep up to date with all the markets so he can see how that effects the stocks. This work ethic can speak a lot about his success. For Paul Mampilly, one of his main tips that hes been very open about is to focus on the “internet of things”. Basically what he means is that the world is changing extremely fast and that there’s only going to be more advanced technology that the rest of the world will gravitate towards. Futuristic technology nowadays is so imperative nowadays that you’re basically forced to have to get with the program. Think about it, the majority of business deals and jobs rely on technology and computers. Not to mention who ever has the best technology usually ends up having the upper hand in most situations. So in reality one of the smarter options to take would be to wait for the next biggest piece of technology to come out and then invest in it. At least this is what Paul Mampilly does! When computers and certain technology came out in the 90’s it had a major impact on society but Paul believes that technology nowadays will have an even greater impact. Nowadays we have smart appliances, cars, and engines. We have 3d cameras on phones, and not to mention 6g is right around the corner! We live in a technological world which means every time something more advanced comes into the market people will gravitate towards it. So the more people that buy something, the more value it has, and the more value it has the more the chance you can find success when investing into it. These are all things to keep in mind if you’re someone who’s interested in making smart investments that will help you become successful. Gregory Aziz is one of the most known individuals in North America and the world at large. He is the current president, Chief executive officer, and a chairman the National Steel Car Company. The National Steel Car is based in Ontario where Gregory J Aziz was born. He attended the Ridley College and later his undergraduate studies at the Western Ontario University. He majored in economics as a course. After studies, he managed to secure a job in their family business. His parents owned a food store that dealt with the import of foodstuffs from South America, Eastern Canada, and Europe. Due to Aziz’s skills and the ambition to gain experience, he took on the family job and within a short period of time, there was a positive change in the state of the job. He later moved out of the family venture and went on to look for his own hustle. He landed a job in New York at a bank. It was at this venue that he managed to acquire National Steel Car, a rail car for freight services. His aim was to rebuild the company, put it under new management, and regain the previous glory of the once prestigious company. The fast actions he takes include team building for the workers to know each other better, promise the workers to provide the resources needed for production at their disposal and encourage the workers to improve on the work output by utilizing the available work tools. Gregory J Aziz’s managerial skills proved to be so powerful a few years later when the production units improved from 3,500 units to 12,000 units produced. This was not a simple task to achieve just within a few years. Other investors could have taken a longer period of time to attain the production level attained by James Aziz in a smaller period of time. View Related Info Here. Over the years, National Steel Car has grown to become one of the best and one of the most preferred freight services cars not only in America but in the world as well. He cites the source of his joy in life is to do something knowing that there those close to you that support you no matter the failure that one experienced. He says that being the president, C.EO., and chairman of such a big company is never a walk in the park. It comes with its own challenges. National Steel Car is one of the oldest and most successful rails and tracks car manufacturers in North America. National Steel was launched in 1912 by a group of investors under the leadership of one Sir Morison Gipson. The headquarters are in Hamilton Ontario. National Steel Car began making small contracts for the Canadian Pacific Railway and the Canadian Northern Railway. In 1919 it was acquired by Donald Symington and Robert Magor of Baltimore and Magor Car Corp respectively. The company went on to do well until the 1930 depression period when it was faced with fierce competition. In response to the race, National Steel Car upped their game and began expanding its operations and using technology to their advantage. In 1962 Dofasco acquired National Steel Car and eventually sold it to the National Industries owned by Gregory James Aziz. When Gregory Aziz acquired National Steel Car, he recognized the company’s potential and mapped out a plan to expand and develop it. Despite the fact that National Steel Car has been on the top three Canadian rail car manufacturers since it began operating, Gregory knew that there was still room for improvement. Just six years after he became the Chief Executive Officer of National Steel Car, Greg had managed to increase the production capacity from 3500 to 12500 railcars yearly. He was able to do this by embracing technology and increasing the number of workers from 500 to three thousand. Under Gregory Aziz, National Steel Car has been the recipient of the TTX SECO award for 13 consecutive years. It is also the only rolling stock company in North America to receive and ISO Certification. National Steel Car is currently the leading rolling stock manufacturers among the few remaining in Canada and North America in General. Read This Article for related information. 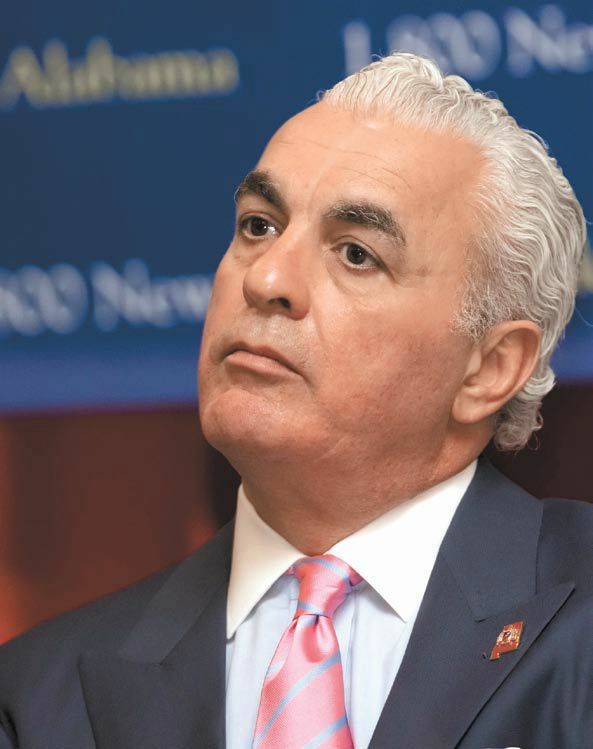 Before becoming the Chief Executive Officer of National Steel Car, Greg Aziz was running National Industries Inc. the company to which National Steel Car is a subsidiary. He also worked in the banking industry in New York for several years. However, Gregory’s first job after graduating from the University of Western Ontario was working with his father in their wholesale food company which is still thriving up to date. Gregory James Aziz is also an active humanitarian. He and his wife have partnered on several occasions to sponsor a variety of activities in Canada. He also leads National Steel Car’s humanitarian endeavors like the donations towards the Hamilton Opera and participation in the Ontario food drive annually. National Steel Car is not only a global leader in the production of steel railroad cars designed for the transportation of freight throughout the world, it is also a company that focuses on giving back to the community that it is a part of in a heavy capacity. The company is led by Gregory James Aziz, who is the CEO. He has been with the company since 1994. He was recruited to work at the company after managing a deal for the company when he was previously working as an investment banker in New York City at one of the city’s top companies for investment banking. The leadership was heavily impressed by his business acumen and decided to attempt to woo him away from the world of investment banking and join the National Steel Car team. He accepted the offer and moved back to his home country of Canada to help build National Steel Car from a regional business to a global leader in the development of steel railroad freight cars. Go To This Page for related information. National Steel Car is not only a leading manufacturer of steel freight cars, but it is a company that is heavily focused on pioneering in the engineering sector. 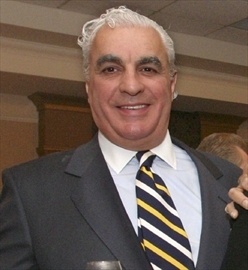 Greg Aziz is also dedicated to being a core part of giving back to the Hamilton community and beyond. National Steel Company and Gregory J. Aziz organize a company-wide food donation drive every year during the Christmas season. The company employees are very enthusiastic about the drive and they come out in full force to support the food drive. They donate tens of thousands of canned foods and boxed goods, among other items that those in need may not have, and it is all donated to the Hamilton community’s local food shelter. The food shelter stated that the donation from National Steel Car is typically the largest that they receive each year and allows those in need to have a holiday season that they would not typically have without the annual donation from National Steel Car. In addition to the annual food drive, National Steel Car takes pride in its sponsorship to local charities. The company donates to the Hamilton branch of United Way as well as the Hamilton chapter of the Salvation Army, among many other charities. In addition, National Steel Car supports some of the most established institution in the Hamilton community that run on charitable donations, such as the local opera and local theatre.